You have a one-of-a-kind personality, a unique twist on life, and a truly eclectic array of niche interests and creative passions. This is how you will be remembered, and this is how you would like your life to be celebrated at your funeral. If you’re smart (and no doubt you are, *wink*), you are planning ahead for your final arrangements. 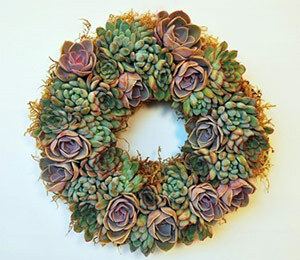 Let’s start to shape your memorial service by looking at the five best creative personalized accents for your funeral. You can personalize a funeral in a number of ways. Set the tone by choosing the music, Scriptures and other readings, or prescribing the order of service. Indicate your favorite flowers, or a color theme for decorations. Ask your closest friend or sibling to deliver a eulogy, and ask a pastor who made an impact on your life to conduct the service. Send cousin Joey a note reminding him of a favorite story about the trouble you two got into as kids. Choose a caterer or request a favorite dish for the reception, and set aside the funds to cover the costs. In all these ways and more you can have a hand in customizing your funeral to your tastes and personality. 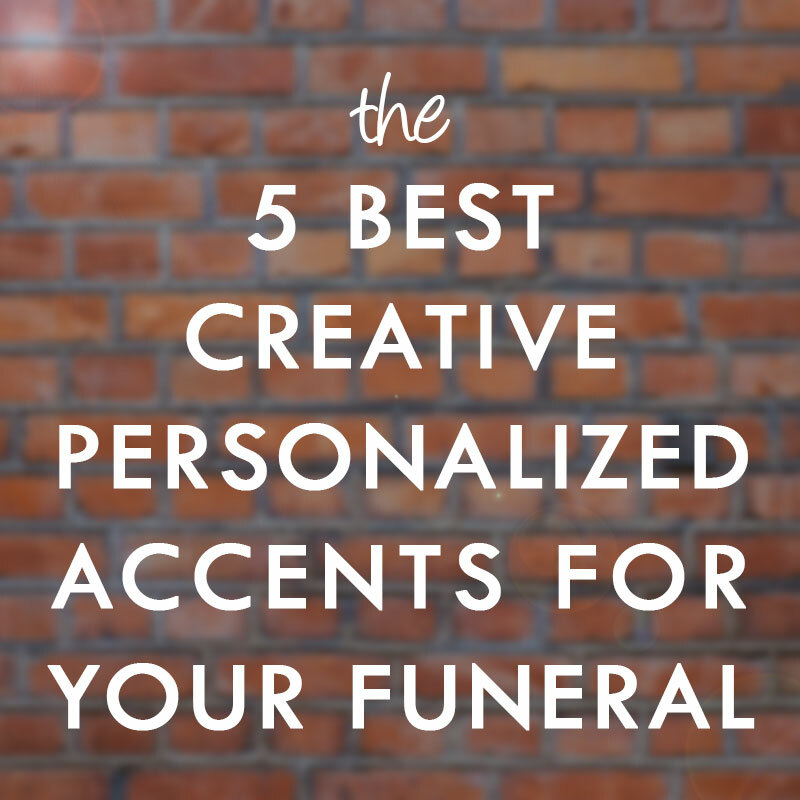 Here are some specific ways you personalize your funeral with unique and creative accents. 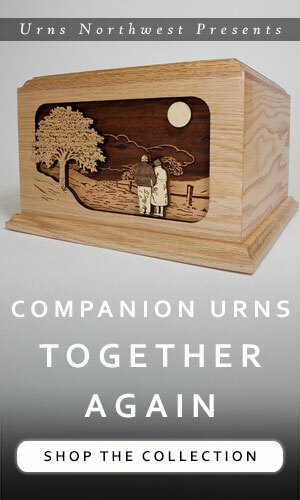 If you have chosen cremation you’ll be amazed at the incredible array of options available to personalize the urn. (Also: if you are going with traditional burial, there are also many options for a creative casket, but those quickly get very expensive. Explore: Cremation vs Burial: Which is Best for You? The choices are nearly endless; you can start by choosing what type of material you would like. These include granite, wood, ceramic, glass, eco-friendly and biodegradable options, and more. Then, with many types of urns, you can choose the design. 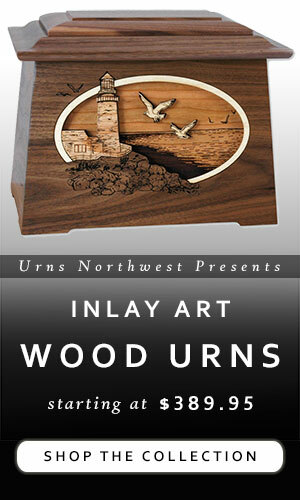 Some urns are shaped like a golf bag, others feature a brilliant wood etched 3-dimensional golf links art scene. It just depends on what it is you are looking for. On top of that, you can get many things laser engraved. Whether it is a photograph, a theme such as a lighthouse or motorcycle, a famous Bible passage like Psalm 23, or an epitaph of name and dates, just about anything can be carved onto a wooden, metal, or marble urn. Another way to “personalize” an urn is to get one handmade just for you. Check out these one-of-a-kind ceramic raku and hand-turned wood urns. Memorial tree urns – plant the urn, grow a tree! Choose your urn in advance and not only will it save your family the stress of trying to pick out the right one, you’ll know that you will forever rest in the urn that is exactly right for you. Few things are as personal as music. Every person has their own special musical tastes, favorite songs and bands, and catchy tunes that get stuck on repeat in your head. Music is common at funerals, so this is a great way to shape the tenor of your memorial service. Make a list of your all-time favorite songs. The ones you always have and always will love; try not to include anything from this year so that you can ensure your playlist will stand the test of time. 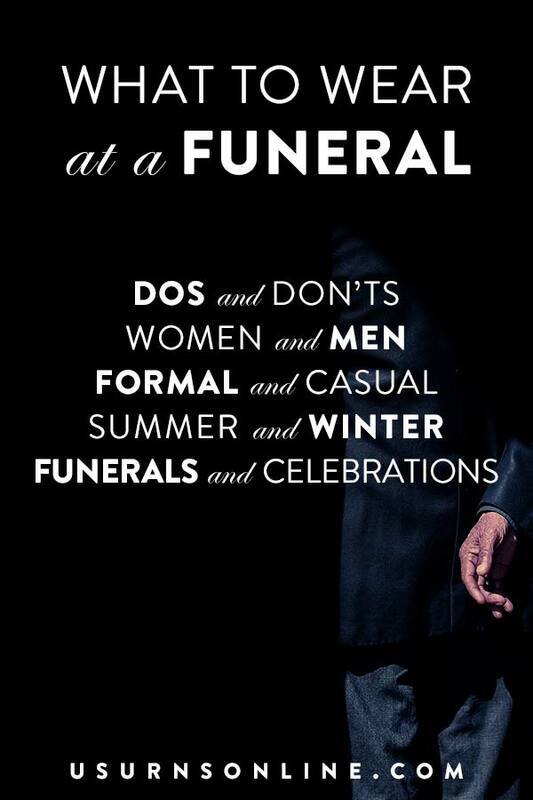 From that list, select some that are “appropriate” for a funeral. Of course, these days, just about anything is permissable at a funeral. But keep in mind the mood you want to create in combination of what people will already be feeling and experiencing. You may love The Village People, and you might find the idea of everyone at your funeral making the “YMCA” hand motions, but when you consider the frame of mind in which your friends and loved ones will be, you’ll probably realize that’s not really what you want. You’ll want to choose meaningful, enjoyable, and deep songs. The ones that tell a story or describe a feeling. “Somewhere Over the Rainbow” is a beautiful choice, as is Leonard Cohen’s (or Jeff Buckley’s) “Hallelujah.” For Christians, “Amazing Grace,” “Be Still My Soul,” and “Abide with Me” are all brilliant choices. If you are from another religious or cultural tradition, choose the songs that carry deep meaning for your relatives and loved ones. But you don’t have to stick with just the classic or traditional songs! This is where you get to personalize it, and let your creativity shine. You’ll know the perfect Miles Davis standard to play over a photo montage, or the operatic bel canto with the heartrending lyrics that you can put in English in the funeral program. Along with the cremation urn, the guest book is one of the easiest accessories to get and personalize ahead of time. Here are 18 totally unique and creative guest book ideas; you can easily adapt these to your own preferences. There are many ways to display photos at your funeral. Now is the time to pick out your favorite ones, or hire a professional photographer to take some new portraits. A photograph is one of the best personalized accents for your funeral, so take some time and consider well which photos to feature and how to do so. Rituals can be soothing and comforting for those you leave behind. Incorporate some familiar rituals into your memorial service plans, but feel free to add your own touch or twist. Take a favorite tradition from your family and have it done at your funeral. For instance, if your family loved to frost and decorative sugar cookies around Christmas time, why not have cookies and decorations be part of your memorial reception? 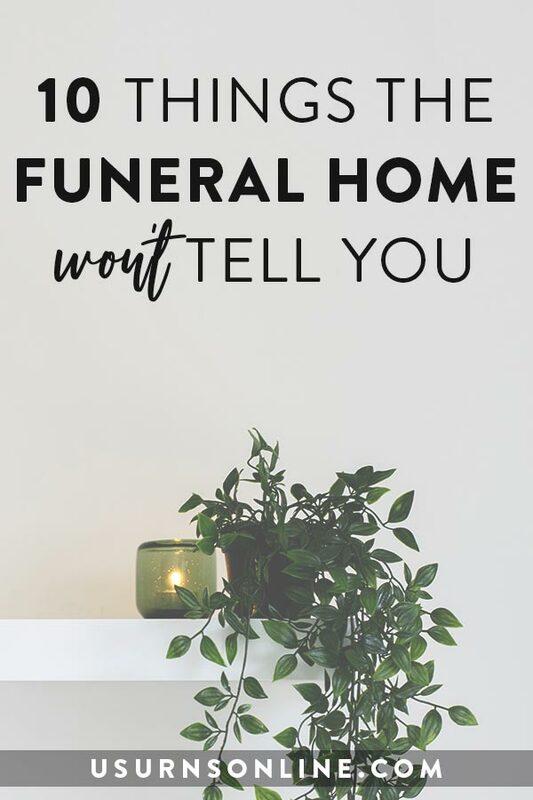 Here are some further ideas that may inspire you to create or adapt your own rituals in a special way to personalize your funeral. What are some creative funeral rituals, traditions, accents, or other personalized features that you have seen or experienced?